Morarji Desai National Institute of Yoga M.Sc Yoga Admission 2019 - Applications are invited by MDNIY from interested candidates to apply for admissions into M.Sc yoga Program, affiliated to Guru Gobind Singh Indraprastha University for the academic session 2019-20. University of Kerala PG Program Admission 2019 – Kerala University has invited online applications for admission to the first year of the Post Graduate Degree Courses in Govt. /Aided/Self-Financing Colleges and Centres affiliated to the University for the academic year 2019- 20. IIMM PG Diploma Admission 2019 – International Institute of Mass Media (IIMM) invites applications for admission to various Postgraduate Diploma Courses in Print Journalism, Radio and TV Journalism and Advertising and Public Relations for the academic year 2019-20 through and entrance exam. IIMM Mass Communication Admission 2019 – International Institute of Mass Media (IIMM), New Delhi, has invited applications for admission to Undergraduate and Post Graduate Program in Mass Communication for the academic year 2019-20. JUIT Waknaghat M.Sc Admission 2019 – Jaypee University of Information Technology (JUIT), Waknaghat, Himachal Pradesh invites applications for admission to M.Sc Program for the academic year 2019. Sampradaayam Sangeetha Natya Kala Gurukulam Admission 2019 - Applications are invited from the Interested candidates for Regular Full Time Courses in Kuchipudi Dance and Carnatic Music (Vocal/ Violin) conducted by Sampradaayam Sangeetha Natya Kala Gurukulam. IIMC PG Diploma Entrance Exam 2019 - Indian Institute of Mass Communication (IIMC) invites applications for IIMC Entrance Exam 2019 for admission into its Post Graduate Diploma Courses for the academic year 2019-20. Tata Memorial Hospital PGD Fusion Imaging Technology 2019 - One year Post Graduate Diploma in Fusion Imaging Technology (PGDFIT) is awarded by Homi Bhabha National Institute (HBNI) Deemed University conducted at Tata Memorial Hospital followed by Mandatory 1 (one) year Internship at Dept. of Nuclear Medicine, Tata Memorial Hospital commencing from 01st July 2019 for academic year 2019-20. VCRC MSc PHE Admission 2019 - Vector Control Research Centre (VCRC), Puducherry (Pondicherry) invites applications for admission to two years Master of Science (M.Sc.) Program in Public Health Entomology (PHE) affiliated to the Pondicherry University, Puducherry for the academic year 2019-20. Allahabad University UGAT 2019 - University of Allahabad invites application for Undergraduate Admission Test( UGAT) 2019 for admission to B.A., B.Sc. (Maths), B.Sc. (Bio), B.Sc. (Home Science), B.Com., B.F.A. and B.P.A. Courses for the academic session 2019-20. Morarji Desai National Institute of Yoga B.Sc Yoga Admission 2019 - Morarji Desai National Institute of Yoga (MDNIY) , an autonomous organization under the Ministry of AYUSH, Govt. of invites applications for admission to the 3 yrs B.Sc. (Yoga) Program, affiliated to Guru Gobind Singh Indraprastha University (GGSIP) for the academic session 2019-20. RIE CEE 2019 Notification - Applications are invited online from the eligible applicants for admission into various teacher education programmes offered by Regional Institutes of Education for the year 2019. CMC Vellore MS in Bioengineering Admission 2019 - CMC Vellore has been invited applications for admission to MS Course in Bioengineering, awarded by Sree Chitra Tirunal Institute for Medical Sciences and Technology, Trivandrum, for the academic year 2019-20. Alliance University BCom (Hons) Admission 2019. Check out more info on eligibility, application and dates for Alliance University B.Com (Hons) Admission 2019. 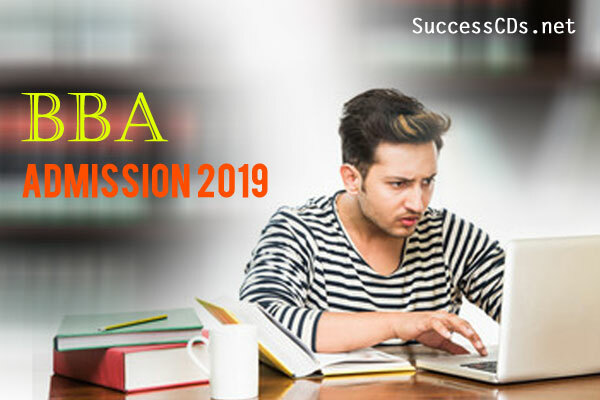 AMU BA Hons in Foreign Language Admission 2019. Check out more info on AMU BA Hons. In Foreign Language Admission 2019 dates, eligibility and application. Apparel Training and Design Centre (ATDC) BVoc Admission 2019. Also see Application, Eligibility, Dates, Results of Apparel Training and Design Centre BVoc 2019 Admission. Applications are invited by Pearl Academy, for admission to its Undergraduate and Postgraduate Programmes offered under various schools across its different campuses for the academic year 2017-18. Applications are invited by Indian Institute of Social Welfare and Business Management (IISWBM), Kolkata for admission to 2 years Master of Philosophy (M.Phil) in Management Programme of Calcutta University for the session 2019. 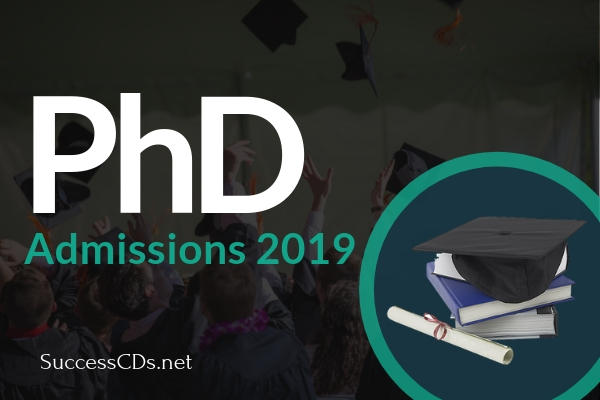 University of Calcutta (CU), Kolkata invites applications for admission to Doctor of Philosophy (PhD) Programme in Economics for the academic session 2019. Dr. Hari Singh Gour University Admission 2019 - : Dr. Hari Singh Gour University, Sagar invites application for admission to UG PG courses offered at the University for the academic session 2019-20. Patna Womens College B.Com (Hons.) Admission 2019 - Patna Women's College has invited applications for admission to the B.Com (Hons.) program for the academic year 2019-20. Alagappa University Courses 2019 - Applications are invited by Alagappa University , Karaikudi (Tamil nadu) for admissions through online/offline mode to the following Postgraduate/Graduate Programs offered in the University Departments and Constituent Colleges for the academic year 2018-19. MANUU Hyderabad Admission 2019 - Online applications are invited for admission to regular mode PhD, Post-Graduate, Undergraduate and Diploma/Certificate Programs Offered by the University at its Hyderabad Main Campus and Satellite Campuses, Colleges of Teacher Education (CTEs) and Polytechnics for the Academic year 2019-20. SCERT Assam D.EI.Ed Admission 2019 - Online applications are hereby invited from the candidates who are permanent resident of Assam to appear in the Pre Entry Test (PET)-2019 for admission into 2 - Year Diploma in Elementary Education (D.El.Ed.) Course. YVUCET 2019 - Applications are invited for admission into various Post-Graduate Courses, 5-year Integrated M.Sc., Bachelor of Fine Arts and PG Diploma in Theatre Arts Courses in constituent and affiliated Colleges of Yogi Vemana University through Common Entrance Test (YVUCET 2019) for the academic year 2019-20. Ajeenkya DY Patil University ACET 2019 - Ajeenkya DY Patil University ACET 2019 is an entrance test conducted by Ajeenkya DY Patil University to grant admission to students in various UG and PG courses for the academic year 2019. MGKVP Admission 2019 - Applications are invited from the interested candidates for admission to various UG, PG, Diploma and M.Phil courses programmes for the academic year 2019-20. HAL Bengaluru PG Diploma in Aviation Management admission 2019 – HAL Management Academy, Bengaluru (Institute of Aerospace Technology and Management) invites application from individuals and corporates for company sponsored candidates for Post Graduate Diploma in Aviation Management (AICTE approved) Program for the academic year 2019-20. Aliah University AUAT 2019 - Aliah University Admission Test is an entry level examination being conducted by Aliah University of the admission into various Undergraduate and Postgraduate Courses in Technology, Basic Sciences and Management, Humanities and Social Sciences for the year 2019-20. CITD MSME-Tool Room PG Diploma & PG Admission 2019 – Central Institute of Tool Design (CITD) Hyderabad, invites applications from interested candidates in the prescribed format for admission into the following Post Diploma (PD) and Post Graduate Courses for the academic year 2019. AIISH Mysore Admission 2019 - All India Institute of Speech and Hearing is organizing AIISH Admission 2019 for various PG, PG Diploma courses for the academic year 2019-20. NTPC School of Business PGDM Energy Management Admission 2019 – NTPC School of Business has announced admission for Post Graduate Diploma in Management (PGDM) Energy Management for the academic session 2019. Indian Institute of Science Education and Research (IISER) Pune, has released notification for admission to PhD Programmes in Biology, Ecology and Evolution, Chemistry, Earth & Climate Sciences, Mathematics and Physics Programs 2019. Amrita Vishwa Vidyapeetham B.Com Admission 2019 – Amrita Vishwa Vidyapeetham invites applications for the admission into Bachelor of Commerce (B. Com.) Program at Amritapuri Campus for the academic session year 2019. The notification for IIT Gandhinagar PhD Entrance Test 2019 has been announced. Indian Institute of Technology (IIT), Gandhinagar invites applications for admission to Doctor of Philosophy (PhD) Programme II Semester offered in various disciplines for the session 2019. Alliance University PGDM Admission 2019 - Alliance University (AU), Bangalore invites applications for admission to Post Graduate Diploma in Management (PGDM) Program offered at Alliance School of Business for the session July 2019. 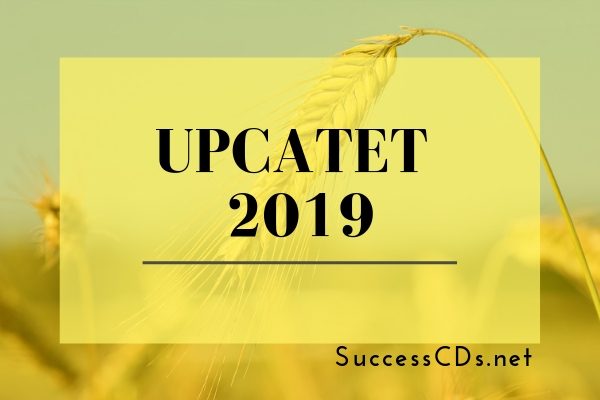 UPCATET 2019 - Uttar Pradesh Combined Agricultural and Technology Entrance Test (UPCATET) 2019 will be conducted by Sardar Vallabhbhai Patel University of Agriculture and Technology, Meerut for admission into various Undergraduates Post Graduate, M.Tech., PhD and MBA Program rfor the academic year 2019-20. IIFT Certificate Program in Export Management 2019 - Indian Institute of Foreign Trade (IIFT), New Delhi, announces admission in their four month Certificate Program in Export Management for session 2019. Bharathiar University Coimbatore invites applications for admission to the B.Ed. Programme 2019 through the School of Distance Education approved by the Distance Education Bureau (DEB-UGC), New Delhi and National Council for Teacher Education (NCTE), Bangalore. NMIMS Mumbai PGD Admission 2019 – SVKM’s Narsee Monjee Institute of Management Studies (NMIMS), Mukesh Patel School of Technology Management and Engineering invited application for eligible candidates for admission to PGD in Real Estate Construction and Management Program for the academic year 2019. School of Planning and Architecture PG Admission 2019 - School of Planning and Architecture (SPA) invites applications for admission to Masters Programs for the session 2019. AMU PG Diploma in Nanotechnology Admission 2019 - Aligarh Muslim University invites applications from interested candidates for admission to Advanced PG diploma in Nanotechnology for the academic year 2019. INST Mohali PhD Admission 2019 – Institute of Nanoscience and Technology (INST), Mohali invites applications from prospective candidates for admission in to its PhD program in several areas of Nanoscience and Nanotechnology for the session beginning in January 2019. Andhra Pradesh APRJC CET 2019 Notification – Andhra Pradesh Residential Educational Institutions Society (APREIS) has issued notification for the APRJC Common Entrance Test (APRJC CET) 2019. Applications are invited from eligible candidates for admission into intermediate first year coursesin its APR Junior Colleges for the academic year 2019 . JNCASR Bangalore POCE and POSE Admission 2019 - Jawaharlal Nehru Centre for Advanced Scientific Research invites applications for its Project Oriented Chemical Education (POCE) and Project Oriented Biological Education Programs (POBE) from Indian students presently studying in the 1st year of the three years B.Sc. Program for the session 2019. BHU PET 2019 - Get details of BHU PET 2019 Banaras Hindu University PG Entrance Test. Check out more info on eligibility, application, dates for BHU PET 2019. Amrita University Journalism and Mass Communication Admission 2019. Check out info on dates, eligibility and application for Amrita University Journalism and Mass Communication Admission 2019. IIP Mumbai PG Diploma in Packaging Admission 2019 - Indian Institute of Packaging (IIP), Mumbai has invited applications for admission to 2 years full time Post Graduate Diploma in Packaging (PGDP) 35th Batch for the academic session 2019-21. IIM Ranchi FPM Admission 2019 – Indian Institute of Management (IIM), Ranchi has announced notification for admission to Fellow Program in Management (FPM) for the academic year 2019. DSAT 2019 - Dayananda Sagar Admission Test 2019 is conducted by Dayananda Sagar University Bangalore for admission to UG and PG Courses offered by the university for the academic session 2019-21. University of Kashmir Bachelors in Music and Fine Arts Admission 2019 - University of Kashmir invites On-line Applications for admission to Bachelors Degree in Music and Fine Arts at the Institute of Music and Fine Arts for the academic session 2019. Madurai Kamaraj University PG Admission 2019 - Applications are to be submitted online for admission to the following 2 year programmes offered by the Schools/ Departments of the University for the academic year 2019-20. NSOU Certificate Course Admission 2019 – Centre for Disability Studies & Educational Research (Under the aegis of School of Education) Netaji Subhas Open University invites application for 6 month Certificate Course on Capacity Building and Professional Development on Inclusive Education. RCI Diploma in Special Education Admission 2019 - Applications are invited from eligible candidates for appearing in All India Online Aptitude Test (AIOAT) for admission to various one-year Certificate and two-year Diploma Level Courses in Special Education/Disability Rehabilitation offered by the Rehabilitation Council of India (RCI) approved institutions, for the academic session 2019-20. KKHSOU PG Diploma Admission 2019 – Krishna Kanta Handiqui State Open University invites application for admission to P.G Diploma in Sales and Marketing Management (PGDSMM) and P.G Diploma in Human Resource Management (PGDHRM) Program for academic Session 2019-20. Cluster University UG Admission 2019 – Online applications are invited from eligible candidates for admission to 1st and 2nd Semester under choice based credit system scheme in B.A/ B.Sc/ B.Com/ B.Sc (Home science) programmes at undergraduate levels in the constituent colleges of the university. SEAT 2019 Srishti Entrance and Aptitude Test - Srishti School of Arts Design and Technology conducted SEAT 2019 for admission to various undergraduate, postgraduate and doctorate level program offered by the institute for the academic session 2019. Applications are open for admission to Doctor of Philosophy (PhD) Programme in Biological Sciences, Chemical Engineering, Chemistry, Earth and Environmental Sciences, Physics, Electrical Engineering and Computer Science at Indian Institute of Science Education and Research (IISER), Bhopal for the session August 2019. IIP Mumbai Certificate Course Admission 2019 – Indian Institute of Packaging (IIP), Mumbai notified admission to Intensive Training Certificate Course in Packing (ITC), a 3-Months Certificate Program. Dibrugarh University Certificate Course Admission 2019 – Applications are invited from intending candidates for admission into the Six Months Certificate Program in Karbi Language to be offered by Centre for Studies in Language, D.U., Diphu Campus in collaboration with Society for Promotion of Karbi Language, Diphu for the academic year 2019. SSSIHL UG PG Admission 2019 - Applications are invited by Sri Sathya Sai Institute of Higher Learning (SSSIHL), Anantapur for admission to 3 years Undergraduate, 2-year Postgraduate and Professional Programs for the session 2019-20. CEPT University Masters Program Admission 2019 - Centre for Environmental Planning and Technology University (CEPT) Ahmedabad has notified admission to Postgraduate Programs offered in various disciplines for the academic session 2018-19. University of Kashmir UG Admission 2019 – University of Kashmir invites applications for the admission in UG courses (regular mode) for the year 2019. It is notified for the information that admission 1st and 2nd Semester (CBCS) Choice Based Credit System Scheme programme at UG level shall start from 19th January 2019. Medi-Caps University Admission 2019 - Medi-Caps University, Indore invites application for the admission into various courses offered by the university for the academic year 2019-20. 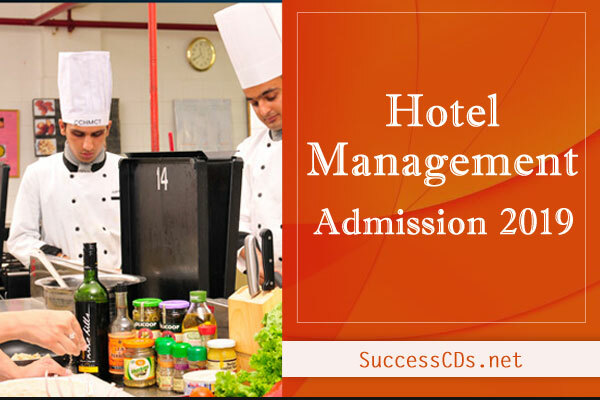 AIHMCT BHM Admission 2019 - Army Institute of Hotel Management and Catering Technology Bangalore invites applications from the eligible candidates for admission to Bachelor’s Degree in Hotel Management (BHM) four-year full time program commencing in the academic session 2019-20. Get info on IIMB Prof. N.S Ramaswamy Pre-Doctoral Fellowship 2019. Also check out on dates, eligibility and application for IIMB Prof. N.S Ramaswamy Pre-Doctoral Fellowship 2019. Top Universities in India - Latest Admission Notices 2019 | Latest Admission Notification for the best Indias Universities for all Courses. Latest admission links categorised for University entrance exams and Admission to UG and PG courses in 2019 session. Jammu University Certificate Course Admission 2019 – Applications are invited for admission to 28th batch of Certificate Course in Global Understanding commencing from 18th February 2019 in collaboration with East Carolina University, USA. HPU Shimla BBA, BCA Admissions 2019. 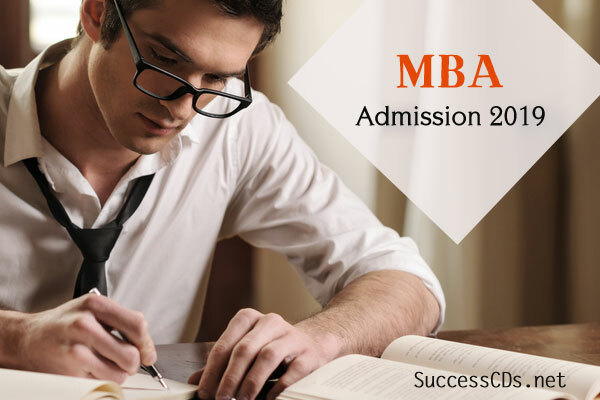 Check out more info on eligibility, application, dates for HPU Shimla BBA, BCA Admissions 2019. Uttarakhand Sanskrit University B.Ed. Entrance Test 2019. Check out more info on eligibility, application, dates for Uttarakhand Sanskrit University B.Ed. Entrance Test 2019. CMC Vellore MMed in Family Medicine 2019. Check out more info on dates, eligibility and application for Entrance test for admission in MMed in Family Medicine. CMI Entrance Exam 2019 for B.Sc, M.Sc. & PhD Admissions 2019. Check out more details on important dates, eligibility, application for CMI Entrance Exam 2019. MGU CAT 2019 Notification- Applications are invited for Mahatma Gandhi University Common Admission Test (MGU CAT) 2019 for admission to the Post Graduate academic Programs in the Statutory Teaching Departments and Inter School Centre of the University for the academic year 2019. IGRUA Commercial Pilot Entrance Exam 2019. Check out more info on important dates, eligibility, application form for IGRUA 2019 Entrance Test for Commercial Pilot License (CPL). School of Planning and Architecture (SPA), New Delhi invites applications for admission to Masters Programs for the session 2019. Kumaun University B.Ed Entrance Examination 2019 Notification and Dates. 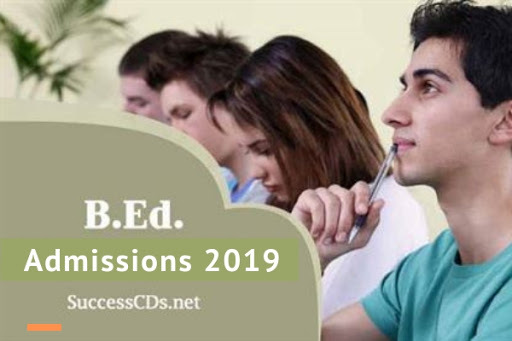 Also see the eligibility and application process for Kumaun University B.Ed Admission 2019. Applications are invited for Maharashtra Agricultural Universities Exam Board MCAER PGCET 2019 Maharashtra Agricultural Universities Examination Board (MAUEB) conducts the Common Entrance Test (CET) for admission to various Post Graduate Programs in the State Agricultural Universities (SAUs) in Maharashtra. Sainik School Kazhakootam Admission 2019 Thiruvananthapuram notification released officially. Check the age limit, date, eligibility etc. Foundation for Liberal and Management Education (FLAME), Pune has invited applications for admission to Post Graduate Diploma in Management for the Academic Year 2019. Jadavpur University B.P.Ed Admission 2019 – Jadavpur University (JU), Kolkata notifies admission to Bachelor’s of Physical Education (B.P.ED) Course for 2019 Session. Burdwan University Distance M.Ed. Admission 2019 - Burdwan University offers admission to the Two Year M.Ed. Course of Studies (Deputed category) for the session 2019, from the Deputed Candidates only. NIFT Tea College Admission Test 2019 - NIFT Tea College of Knitwear Fashion invites admission application for eligible candidates to the following academic programs 2019. TIFR Visiting Students Research Programme 2019 – Tata Institute of Fundamental Research (TIFR) invites applications for admissions to Visiting Students’ Research Programme (VSRP-2019). Calcutta University PG Diploma Admission 2019 – University of Calcutta invites the applications for admission to inaugural One-Year (Evening) PG Diploma in Investment Portfolio Management Services (PGDPMS) for the academic session 2019. C-DAC DMSDE Admission 2018 – Centre for Development of Advanced Computing (C-DAC), Hyderabad invites applications for admission to Diploma in Modern Software Development Essentials (DMSDE) for the year 2018. Calcutta University PG Diploma admission 2019 - University of Calcutta, Kolkata invites application for admission to Postgraduate Diploma in School Counselling (one-year self-financed professional course) in the Dept. of Applied Psychology, Calcutta University for the academic session 2019. NAARM Hyderabad PGD-TMA Admission 2019 – Applications are invited from the eligible candidates for admission in one year Post Graduate Diploma in Technology Management in Agriculture (PGD-TMA) is a two- semester course jointly offered by ICAR-NAARM and UoH, under distance learning mode. CDAC Pune PG Diploma Admission 2019 - C-DAC announces admission to the following career-oriented 24 week's full time Post Graduate Diploma Courses (NSQF level 8) in ICT for Graduate in Engineering /MCA or equivalent (for except pre-requisite visit website) for commencing in February 2019. IIPM Bangalore PCP-TTM Admission 2019 - Indian Institute of Plantation Management (IIPM), Bangalore announces admission to Professional Certificate Program on Tea Tasting and Marketing (PCP-TTM) 12th Batch [20th May – 03rd July] 2019 Session. NPTI PGDC CET (NPTI Admission): NPTI Faridabad PG Diploma Courses Admission 2019 - Applications for admission to One Year Post Graduate Diploma Courses (PGDC) in Power Plant Engineering, Smart Grid Technologies, Power System Operation, Energy Market Management and Renewable Energy & Grid Interface Technologies are open at National Power Training Institute (NPTI), Faridabad for the session 2019 (Winter Session). NIRD Hyderabad PGDRDM Admission 2019-20 Open! Check the Details! NIRD Hyderabad Admission- NIRDPR Hyderabad PGDRDM Admission 2019 – The National Institute of Rural Development & Panchayati Raj (NIRD-PR) Hyderabad invites application from the eligible candidates for admission to One-Year Post Graduate Diploma in Rural Development (PGDRDM) 17th Batch (2019), in Distance Mode for the session commencing from June 2019 to May 2019. AIIMS Rishikesh Diploma in Plaster Technician Admission 2019– All India Institute of Medical Sciences (AIIMS) Rishikesh invites online applications for Entrance Exams leading to Diploma in Plaster Technician (DPT)Course for January 2019 Session. TIFR GS 2019 - Tata Institute of Fundamental Research invites applications for admissions to TIFR Deemed University, stationed at TCIS Hyderabad for PhD and Integrated M.Sc.-PhD Degree Programs under the Subject Board of Physics (academic January 2019). Xavier Centre for Urban Management and Governance (XUMG), Xavier University Bhubaneswar invites applications for admission into two-year full time Master’s in Urban & Regional Planning (MURP) for the academic session 2019-21. 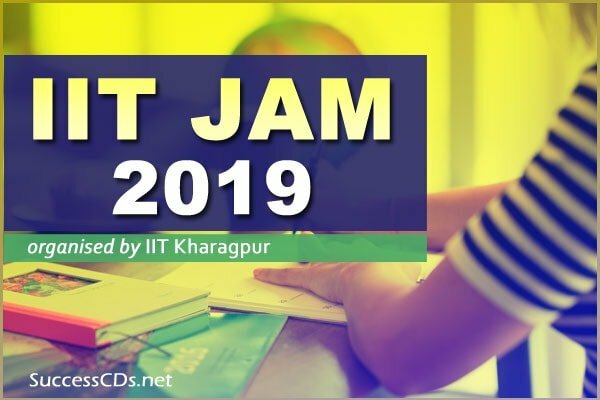 IIT JAM 2019 - IIT Kharagpur is set to conduct JAM 2019 on 10th February 2019. JAM also known as Joint Admission Test for M.Sc. Programmes is an Entrance Exam conducted for the admission to the Postgraduate Programs offered by IIT’s and IISc. Bangalore. SOIL Gurgaon PG Program Admission 2019 – School of Inspired Leadership (SOIL), Gurgaon has announced the admission for its one-year Post-Graduate Leadership Program in Management (PGPBL) and Post Graduate Program in Human Resource Leadership (PGPHRL) Programs for the Academic year 2019-20. Indian Statistical Institute Admission 2019 - Applications are invited for ISI Kolkata Admission Test 2019 for admission to B.Stat (Hons), B.Math (Hons), M.Stat, M.Math, MS (QE), MS (QMS), MS (LIS), M.Tech (CS), M.Tech (QROR), PG Diplomas and Research Fellowships for the academic year 2019. LNCPE Trivandrum BPEd Admission 2018 – Lakshmibai National College of Physical Education (LNCPE), Kariavattom, Trivandrum invites applications from the eligible candidates for admission to the two-years Bachelor of Physical Education (B.PEd), Course for the Academic Session 2018-19. Amrita Vishwa Vidyapeetham Postgraduate Program in Ayurveda 2018 – Applications are invited from eligible candidates for Postgraduate Programs (MD/MS) in Ayurveda at Amrita Vidyapeetham for the academic year 2018. JIPMER Certificate Course Admission 2018 – Jawaharlal Institute of Post Graduate Medical Education & Research (JIPMER), Puducherry invites the applications for admission to EMTC Course for the year 2018. KSLU PG Diploma & Certificate Courses Admission 2018 – Karnataka State Law University, Hubballi invites application from the eligible applicants for admission to the PG Diploma and Certificate Law Courses of KSLU for the academic year 2018-19 in its Law School and affiliated Law Colleges. KBS Mumbai PGDM Admission 2018 – Mumbai based Kohinoor Business School (KBS) invites application for admission to Post Graduate Diploma in Management (PGDM), 2-year Program, admission for the academic year 2018-20. NSOU, Kolkata PG Diploma Course Admission 2018 – Netaji Subhas Open University (NSOU) Kolkata Applications are invited for admission to the following courses of this University for July-2018 session. MP Bhoj Open University MLIS Admission 2018 – Madhya Pradesh Bhoj (Open) University, Bhopal invites the applications for admission to Master of Library & Information Science (MLIS) for the academic year 2018. NIVH Dehradun PG Diploma in Rehabilitation Psychology Admission 2018 – National Institute for the Empowerment of Persons with Visual Disabilities (Divyangjan), Dehradun invites applications for admission to one-year Post Graduate Diploma in Rehabilitation Psychology (PGDRS) Program for the academic session 2018-20. BHU Statistics & Computing (Diploma) Admission 2018 - Banaras Hindu University (BHU) invites application for the admission in the One Year Self Financed Diploma Course in Statistics and Computing. The classes will be running in the evening hours. Jadavpur University Kolkata PhD Admissions 2018. Check out more info on dates, eligibility, and application for Jadavpur University Kolkata PhD Admissions 2018. Institute of Hotel Management Catering B.Sc. Hospitality & Hotel Administration 2018. Check out more info on eligibility, application, dates for IHM Chennai B.Sc. Hospitality & Hotel Administration 2018. Morarji Desai National Institute Diploma in Yoga Science Admission 2018 - Morarji Desai National Institute of Yoga (MDNIY), New Delhi an autonomous organization under Ministry of AYUSH, Govt. of India invites applications for admission to Diploma in Yoga Science (DYSc.) for Graduates, a regular, non -residential course of one-year duration (02 Semesters) for the academic year 2018-19. Gujarat University of Transplantation Sciences Diploma Admission 2018 – Applications are invited for Dialysis Technician Certificate Course for the academic year 2018-19 at G.R. Doshi and K.M. Mehta Institute of Kidney Diseases and Research Center (IKDRC)- Dr. H.L. of Trivedi Institute Transplantation Sciences (ITS), the constituent Institute of Gujarat University of Transplantation Sciences (GUTS), Ahmedabad. Indian Institute of Infrastructure and Construction Skill Courses Admission 2018 – Indian Institute of Infrastructure & Construction (IIIC), Chavara, Kollam, under the Kerala Academy for Skills Excellence (KASE), Department of Labour, Govt. of Kerala, has invited applications for admission to the various skill based Courses offered by it for 2018-19 . NIFT Chennai - Diploma, PG Diploma Admission 2018 - National Institute of Fashion Technology (NIFT), Chennai invites applications for admission to Full-Time Diploma and PG Diploma Programs commencing in the year 2018. NPTI Badarpur Post Graduate Diploma Admission 2018 – National Power Training Institute (NPTI), Badarpur, invites applications for admission into its 26 weeks Post Graduate Diploma Course in Transmission and Distribution starting from the academic year 2018-19. Jawaharlal Nehru CASR PG Diploma Material Science Program 2018 - Jawaharlal Nehru Centre for Advanced Scientific Research invites applications for its one-year-long Postgraduate Diploma in Material Science Program for the academic year 2018. University of Mumbai Master’s, Micro Degree Admission 2018 – University of Mumbai will release the notification for admission to the Master’s Degree /Micro Degree Program in Data Science by Department of Computer Science for the academic year 2018-19. NAI School of Archival Studies Certificate Course Admission 2018 – School of Archival Studies, National Archives of India (NAI), Janpath, New Delhi invites online application for admission notice for 75th Short Term Certificate Course in “Reprography” for the session 2018. ANGRAU UG Admissions 2018 - Online Applications are invited from eligible candidates for combined admissions into the following U.G. Degree Courses of Acharya N.G. Ranga Agricultural University (ANGRAU), Guntur, Sri Venkateswara Veterinary University (SVVU), Tirupati and Dr.YSR Horticultural University (Dr.YSRHU), Venkataramannagudem, West Godavari District for the academic year 2018-19. ACPC Ahmedabad M.Plan Admission 2018 – Admission Committee for Professional Courses ((ACPC) Ahmedabad, issued the notification for admission to first year of Master of Planning (M.Plan) in self-financed for the academic year 2018-19. University of Kerala Trivandrum Admission 2018 - Applications are invited for admission to the Master of Visual Arts in Painting and Master of Visual Arts in Art History offered for the year 2018-19 by University of Kerala at Raja Ravi Verma Centre of Excellence for Visual Arts, Mavelikkara. National School of Drama (NSD), Bengaluru Centre invites applications for admission to its residential One-year Certificate Course in Acting for the academic year 2018-19. University of Calcutta PGD in Buddhist Studies Admission 2018 - University of Calcutta (CU) Kolkata invites applications for admission to Post Graduate Diploma in Buddhist Studies (PGDBS) 2018. SVVU Diploma Admission 2018 – Sri Venkateswra Veterinary University (SVVU), invites applications from the eligible candidates in the prescribed proforma for admission into two years Animal Husbandry, Fisheries and Dairy Processing Polytechnic Diploma Courses for the academic year 2018-19. BFHUS GNM Admission 2018 – Baba Farid University of Health Sciences Faridkot (Punjab), invites applications for admissions in Govt. Nursing and Midwifery Schools for the academic year 2018-19. NCWEB Delhi University PG Admission 2018 – Non Collegiate Women’s Education Board (NCWEB), University of Delhi has released notification for the eligible candidates for admission into Post Graduate Courses for the Academic year 2018-2019. University of Jammu has invited online applications for admission to 2 year B.Ed. regular course for the session 2018 in the Non-Government Colleges of Education affiliated to the University of Jammu. Check out on Kazi Nazrul University Admission Notice 2018. Also look for more info on KNU Postgraduate Courses Admission, dates, eligibility and application. North Maharashtra University MTech Admission 2018. Check out for more info on North Maharashtra University MTech Admission, dates, eligibility, and application. Ramadevi Women’s University Admissions 2018 – Ramadevi Women’s University Bhubaneswar Odisha invites online applications for admission into different P.G./UG/M. Phil Programmes for the session 2018-19. Kurukshetra University M.Lib & Inf. Science Admission 2018 - Kurukshetra University Kurukshetra (KUK), Kurukshetra, invites application from the eligible candidates for admission to M.Lib. & Inf. Science Course in the Department of Library & Information Science for the academic year 2018-19. NCWEB B.A. & B.Com Admission 2018 - Non-Collegiate Women's Education Board (NCWEB), University of Delhi has released the notification for admission to the Under Graduate (B.A. / B.Com) Programs for the academic year 2018-19. State Central Library Certificate Course Admission 2018 – State Central Library Thiruvananthapuram, under the Higher Education Department, Govt. of Kerala has invited applications for admission to the 6-months, Certificate Course in Library and Information Science (C.L.I.Sc) being offered. Arawali Veterinary College BVSc and AH admission 2018 – Arawali Veterinary College invites applications from eligible candidates of admission to1st year B.V.Sc. & A.H. Degree Course on Management Quota seats made only on the basis of merit of NEET/RPVT- 2018 for Session 2018-19. PJTSAU Telangana Under Graduate Courses Admission 2018- Combined admission into Undergraduate Degree Programs in various Colleges of Professor Jayashankar Telangana State Agricultural University, Hyderabad &P.V. Narsimha Rao Telangana Veterinary University, Hyderabad &Sri Konda Laxman Telangana State Horticultural University, Hyderabad During the academic year 2018-19. LNJN FACT Forensic Science Aptitude & Calibre Test 2018-They are screening tests like UGC/NET/GATE and will ensure minimum standard for Forensic Science Postgraduates involved in conducting laboratory tests of crime evidence in FSLs in India, thereby contributing to the quality of forensic science services across the country. Institute for Financial Management and Research (IFMR), Chittor invites applications for admission to Doctor of Philosophy (PhD) program for the commencing session 2018. The notification for Institute for Financial Management IFMR Chittor PhD Admission 2018 has been announced. 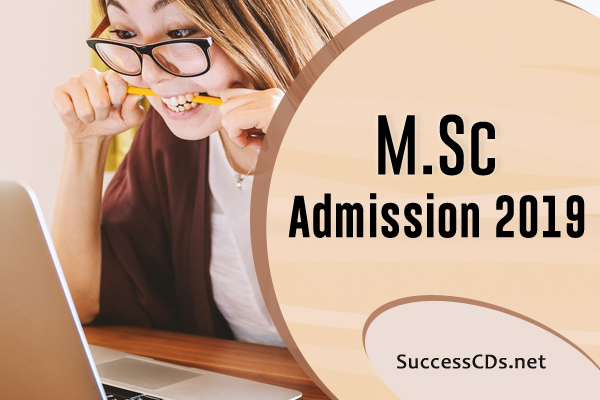 Indian Institute of Social Welfare & Business Management MSW Admission 2018. Check out more info on eligibility, application, dates IISWBM MSW Admission 2018. Pune University MSc in Virology Admission 2018– National Institute of Virology, Pune, a premier virus research laboratory in India affiliated to the Savitribai Phule Pune University, has invited applications for admission to the MSc in Virology offered for year 2018-19. Annamalai University Integrated PG Admission 2018 - Annamalai University invites applications from eligible candidate for admission in five-year Integrated Post Graduate Degree Programs for 2018 session. University of Calcutta Integrated M.Lib.I.Sc. Admission 2018. Check out more info on dates, eligibility, application for University of Calcutta Integrated M.Lib.I.Sc. Admission. APREIS RDC-CET Admissions 2018 Notification - Andhra Pradesh Residential Educational Institutions Society (APREIS) is going to issue the APRDC Common Entrance Test (APRDC CET) 2018 Notification in March 2018 and the APREIS invites online applications from the eligible candidates for admission into Degree first year courses in its APR Degree Colleges for the academic year 2018-19 . FTII Pune Foundation Course in Screenplay Writing 2018 Notification- Film and Television Institute of India (FTII) Pune, has invited applications for admission to the ‘Foundation Course in Screenplay Writing’ of 20 days duration, to be held from 01st to 23rd June 2018 (excluding Sundays), at Nagpur, in association with G.H.Raisoni University, Nagpur and G.H Raisoni College of Engineering, Nagpur . University of Kashmir PG Diploma, Certificate Course 2018 Notification - Online applications are invited from the eligible candidates for admission to the PG Diploma/Certificate Courses for the academic session 2018. Apeejay Institute of Design – A Premier Design institute invites application for admission into its UG and PG Design course for the academic year 2018. Mahatma Gandhi Chitrakoot Gramodaya Vishwavidyalaya, Chitrakoot Madhya Pradesh has announced admission to Distance Education for UG, PG and Diploma Courses for the year 2018-19 . Downloaded application form on and from 15th January 2018 to 30th 2018 (between 11 a.m. to 3 p.m.) on all working days, except Saturdays, Sundays and University Holidays, are invited for admission to one year P. G. Diploma in Guidance and Counselling course of studies for the session 2018. Film and Television Institute of India (FTII), Pune invites applications for admissions to PG Diploma and Certificates Courses in Film for the academic year 2018-19. The Admission Modalities are with reference to MBA; M.Tech (CSE)/ M.Tech (ECE); M.Sc; M.Com; B.Tech; BBA; B.Com; B.Sc; B.Tech (Lateral Entry) Programs offered by the ICFAI University , Himachal Pradesh (Baddi). National Power Training Institute Neyveli has invited application for admission to Graduate Engineers Course (Thermal) for the commencing February 2018-19. Kerala University PG Diploma Admission 2018 – University of Kerala, Thiruvananthapuram announces admission to the PG Diploma in Geo-Information Science and Technology (PGDGIST) at the Centre for Geo-Information Science and Technology (A centre of excellence supported by the DST and KSCSTE) for the year 2018-19. Osmania University Post MSc Diploma in Radiological Physics 2018 - Applications are invited from eligible candidates for admission into two years’ Post M.Sc. Diploma in Radiological Physics Course for the academic year 2018-19. Sainik School Amaravathinagar invites application from eligible candidates for admission to Classes VI and IX standards, through All India Sainik School Entrance Examination for the academic year 2018-19. JNAFAU Master of Fine Arts (MFA) Admission 2018 - Applications are invited in the prescribed form for admission into following Post Graduate (MFA) Courses at Jawaharlal Nehru Architecture & Fine Arts University (JNAFAU), Hyderabad for the academic year 2018-19 under National Integration Scheme into the following courses.